IQ-Enterprises (IQE) is a premium manufacturing firm, located in Indianapolis, Indiana, and in China. Marine & rigging hardware: Wire Rope Clips, Eye Bolts, Hooks, Links & Rings, Load Binders, Shackles, Swivels, Wire Rope Thimbles, Turnbuckles. 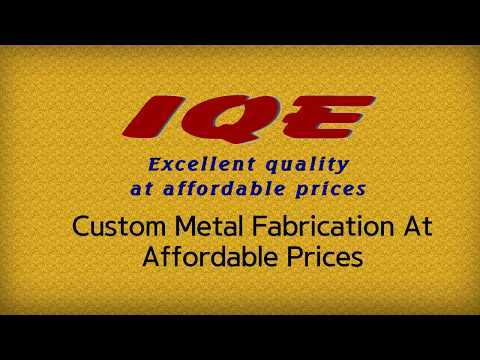 IQE manufactures aluminum die casting, investment casting, iron sand casting, steel forging, sheet metal stamping, and plastic injection molding. IQE also provides Contract Manufacturing options for our clients in low volume or short run. On the US side, we handle engineering, order, delivery, quality issues and local customer service for your project from beginning to end. IQE serves in Consumer Electronics, Automotives, Lighting Industry (lighting fixtures), etc. Our parts are used by Emerson, Toshiba, etc..